Wow! I can’t believe it’s been almost three years since I originally wrote this blog! 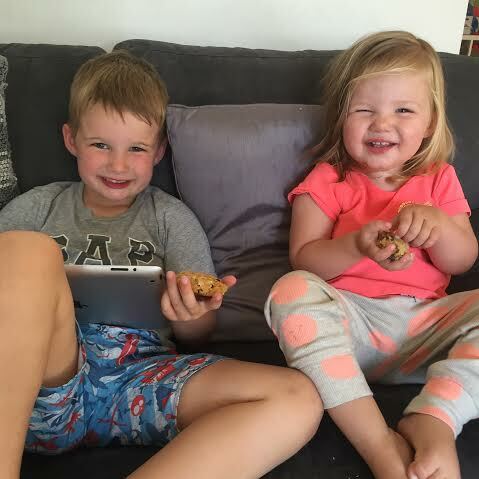 Our big kids Lenny and Annabelle will be going into Grade 3 this week and we just know we will feel emotional on their first day back! Not only because we will be watching them enter their new grades for the first time, but because this year, we will be waving goodbye to our precious little girls Stella and Penny who are starting Prep! Where on earth has that time gone?! Do you have a prep starting this year? 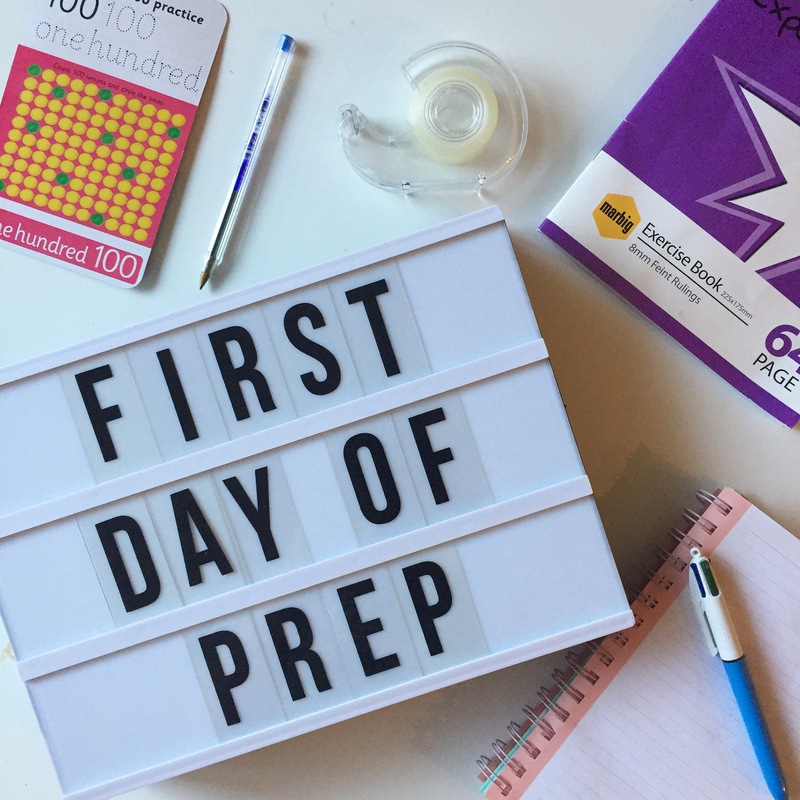 Well, here are our “First Day of Prep” survival tips to ensure your morning, whether their first day be this week or next, starts off happy and stress free for the both of you! Especially if you have a temperamental child! I made sure everything was ready. I prepared his lunch box with snacks (keeping the sandwich making to the morning), filled his water bottle and made sure his bag was packed and ready to go. I stuck with the usual bedtime routine, keeping the “OMG! You’re going to school tomorrow! Arrgghh! !” well away. Too much excitement and hype the night before would have sent this little mans mind racing which ultimately would have kept him awake and restless. Get up early! It’s no good rushing around like a screaming banshee stressing the poor kid out before their big day! I got up early, had a shower and quietly got dressed (so not cool doing school drop of in ya jimmy jams!). Kids moods feed off your mood so stay calm and organised and once they wake up, their mood will (hopefully!) reflect the same attitude. Asking the question “what do you want in your sandwich” will result in one of two things – them sitting there thinking for 10mins like you have just asked them how do we achieve world peace?! or them screaming “jam or nutella” because that’s their favourite, (personally I hate sweet sandwiches, these are more of a weekend treat) so, instead, keep their choices to a healthy minimum which will prevent a tantrum. “Would you like Ham & Lettuce or Vegemite & Cheese” – simple, two choices; “Umm…. Ham & Lettuce”. OK good. Done. This morning is not the time to be telling them; “You’re a big school kid now, do it yourself!”, there will be plenty of time for that in the weeks to come! Lenny, for example, was (and still is!) the world’s biggest procrastinator when it comes to getting dressed and the world’s biggest whinger when it comes to putting his shoes on. Every morning we would fight about this with me yelling; “come on hurry up! you are big enough to do it yourself!”, and him rolling around on the lounge room rug like a harpooned seal, groaning; “I’m not big enough, they don’t fit me, they hurt, I can’t find my socks”, etc.. etc. It infuriates me! So, on the first day of prep, I laid his polo shirt and shorts out on his bed and said; “Lenny, if you go and get dressed for me I’ll help you put your shoes on ok buddy?”…Well, it worked! He went straight to his bedroom and got himself dressed (school hat and all!) then he came straight back to the lounge where I was waiting to pop on his socks and shoes. Now, I’m not saying to do this every morning, but on this particular morning I wanted to avoid any type of conflict so I helped him out and he behaved because he appreciated it, turning what would usually be a twenty minute Mexican stand off into five minutes of simplicity. Kids, some like having their photo taken, some don’t. My kids are touch and go when it comes to posing for a happy snap (who would have thought?!) so I know to tread carefully. Once they are dressed and you’re about fifteen minutes away from leaving time, casually ask them; “Do you think it would be OK if I took a photo of you to show Nana?”. This worked for me! Because I kept it cool and made it sound important (anything for Nana! ), he said yes! If you have a kid that gets sick of having a camera in their face all the time then keep it simple. We took our photos at home and didn’t stress too much at the school where I knew all he would want to do is see his old kinder friends and get ready to go into the classroom. On the other hand, if they don’t want their photo taken at all then don’t push it. Keeping things happy and stress free is more important. Pop the camera in your handbag and ask them again when you get to the school, once they see all the other mums taking photos, chances are they will be happy to pose for a quick happy snap too! School starts at 9am and we live a five minute drive from the school. On a normal day I will probably leave the house around 8:45am. On the first day however, we left at 8:30am. When we arrived at the school there was already heaps of preps there with their mums. It was a good opportunity for Lenny to catch up with old kinder friends and play on the play equipment. We had plenty of time before the bell rang and we didn’t feel rushed. He then went into the classroom a happy little boy after running off some of his morning nerves and excitement. Wave, high five, knuckle punch, hug or kiss. However you normally say goodbye, do it when the bell rings, watch them walk into the classroom then leave. 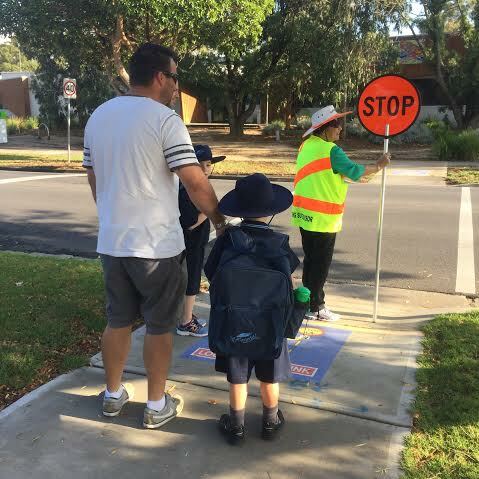 Unless there is a special morning tea or something organised for the parents, there is no need to hang around. If your child is a little bit upsett it will only make them worse. Teachers are professionals, they know what they are doing and they know how to comfort your child. On Lenny’s first day, I saw one little girls parents lingering at the door like a bad smell, waving, calling her name, trying to take photos. She became confused and agitated, she wanted to go and be with her mum and dad instead of sitting with the other kids. I personally think it’s better to just leave and let your child settle in with their teacher and class mates instead of hanging around. If you’re going back to work after drop off, stop and get yourself a coffee on the way! If you’re going home, boil the kettle, make a cuppa, sit down and relax! Now is the time to have a little cry, reflect and feel proud of your child as they have successfully started their first day of school! Hey, pop the champagne cork if you want! Give yourself a pat on the back! You’re a school mum now and if you already miss them don’t worry, it will be 3:30pm before you know it! Tip: If you have housework to do or errands to run, do them before lunch! I’ve found that 3:30pm comes around so quickly that if I don’t smash out my jobs in the morning then they never get done! It’s their first day, they are going to be tired when they get home. Don’t make plans for a play date or a “special” first day of school dinner outing. Let them come home and veg. Lenny had 1/2 an hour on the iPad followed by a quick game of backyard cricket before dinner, bath and bed. Instead of a special dinner I made some oat and date cookies as a yummy after school snack which also doubled as a lunch box filler for the rest of the week. We saved the celebratory dinner for the weekend when we knew he could have a little sleep in the next morning. And that’s it! You can do it! You can both survive the first day of prep! The hard thing is breaking it to them that they have to go back the next day, and the next day… day one done, another 364 days and 12 years to go!